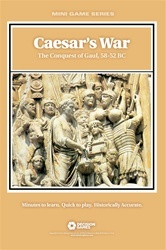 March with Julius Caesar and his legions in the conquest of Gaul, 58-52 BC. This is a two player game. One commands the Romans, the other the Gauls as well as allied Brittanic and Germanic tribes. 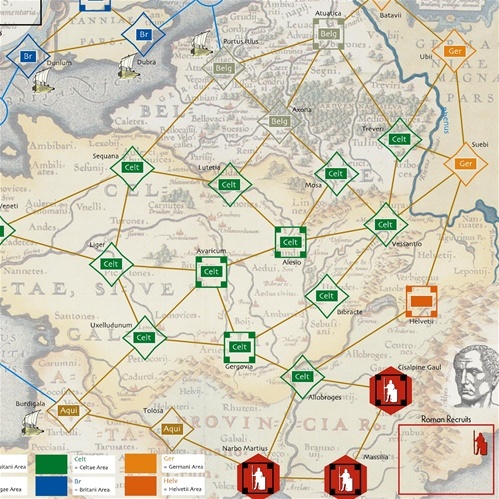 The game pieces include: legions, auxiliaries, fleets and tribal war bands. The map stretches from the Roman frontier across the three parts of Gaul to the Rhine, as well as across the Northern Sea into Britannia. 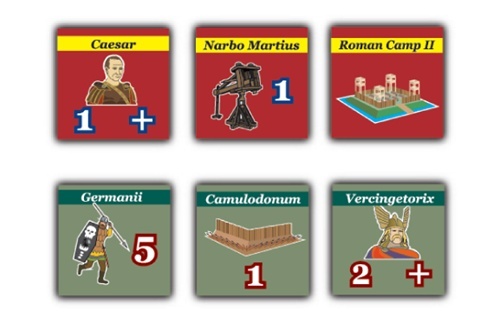 In Caesar’s War each player has a unique deck of Campaign Cards. They generate recruits for the armies, movement abilities, special combat bonuses and historic events. 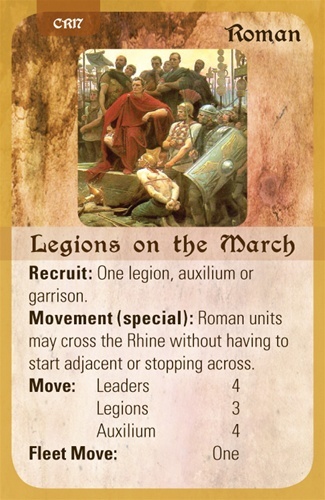 Some of the Roman cards include: Legions on the March, Unrest in the Ranks, and British Campaign. Some of the Gallic cards include: Helvetian Migration, German Invasion, and Uprising of Gallic Tribes. Combat is resolved using a quasi-tactical procedure. 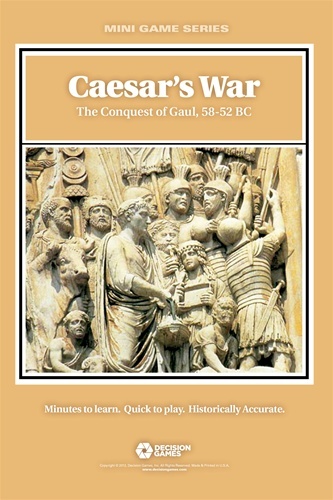 Each side has unique advantages, with Roman discipline pitted against Gallic ferocity. 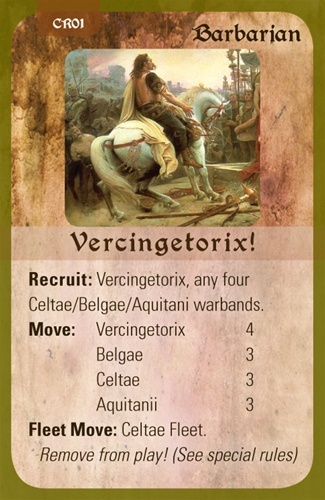 There are special rules for camps, sieges, morale, and great leaders such as Vercingetorix and Caesar himself. Having the right commander at the right battle can mean the difference between laurels and disaster. A lot of effort in the design of these mini games is evident and I applaud those designers and artist; however, I am not a fan of the cards, The games such as Wilson's Creek, Mansfield, Molino Del Rey, and Salem Church; to me these are excellent solitaire games. The dice is the only variable in those games besides yourself as you are forced to think and act tactically. All is not lost. We have now used the rules as a campaign base for De Bellis Antiquitatus miniatures rules. Each barbarian strength point becomes two elements of warband while each Roman point becomes an element of blade or cavalry. Our first campaign is not yet over, but has already resulted in some nail biting table top battles.